Good Morning! Happy Tuesday. I have had a great week, long weekend. 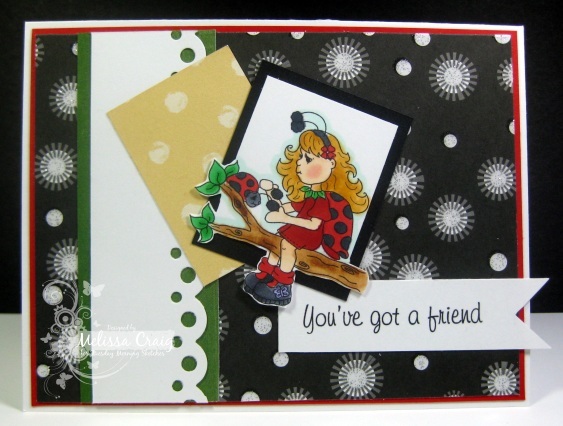 I enjoyed my visit with my sisters and today's card was created by Theresa and me. 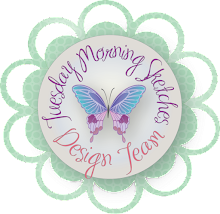 The sketch is up at the Tuesday Morning Sketches blog and we're sponsored by Imagine That digital stamps. I, I mean, we used the Ladybug Friends set. Theresa and I made this card together. I colored and cut out the image and she did the rest. I love how it looks like she's hanging out with the little ladybug at night with the stars all around her. Please join us this week - we'd love to see you. The can be the literal or the patriotic. 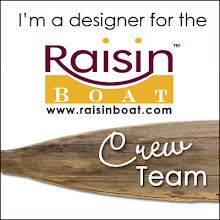 I took a look at the blog and the team has a mixture of both and WOW do they look great! Head on over there to play along and I'll see you all next week. 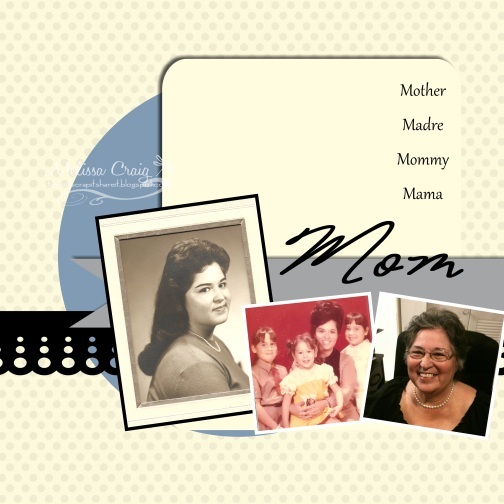 I got to make that page already because I was showing my Mom how to use the MyMemories Suite software.... so I am ready! I'm back..... I created a quick page to share. What do you think? Hello! Happy Tuesday! This week is going by way too fast. My baby... my big baby graduates on Friday. ugh!! I know, I know I keep sharing that bit of news. OK - let's talk TMS. The sketch is up and it's so easy and so cute, even if I do say so myself. And talk about cute - we have Stamp Fairy sponsoring. 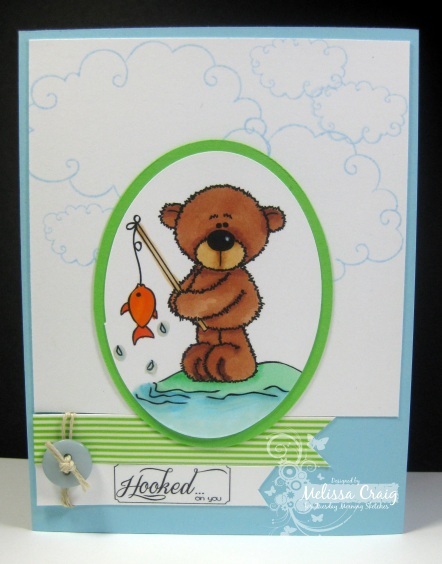 My card features a cute little Donnie Gone Fishing image and a freebie sentiment. I really wanted a cloud embossing folder for this card but I couldn't find one so I used cloud stamps from a Fun 'n Flair Valentine's stamp set. Love them! The sentiment didn't work quite how I envisioned, but hey, it got on there. I'm very happy with how this card turned out. Fresh colors, clean and simple - sort of. I am happy. Now head on over to the TMS blog to play along with us. We'd love to see what you make. Good Morning! I hope everyone had a great weekend. Mine was busy, to say the least. I have my sisters coming into town on Wednesday and my Mom on Thursday for Brendan's graduation. So I had to clean the apartment. I know they aren't going to say it was dirty and it really wasn't - I guess I was just brought up to get the house ready for company. Anyway, speaking of Graduation. That's what this week's challenge at The Pink Elephant is all about. So this is a page I created featuring my son's school announcement. I love how this page turned out. I scanned in the announcement, so the scanning process sort of diminished the shiny gold accents of the card. 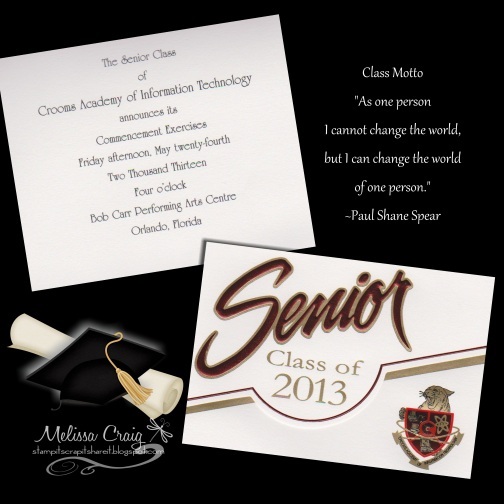 I added a text box where I added the school's motto that is printed on the back and then played around with embellishments in the MyMemories Suite software. You should see it printed though... gorgeous! Please head on over to The Pink Elephant blog and join us! Thanks for stopping by. Good Morning! Happy Tuesday. 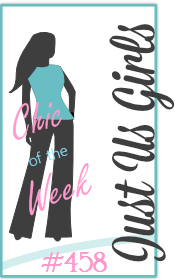 We have a fabulous sketch created my Jessi this week and we have a fabulous sponsor!! Yep! The Greeting Farm is here!! Yippee! I have loved TGF since they were known as Pink Poison, Marie, the owner is one of the sweetest people I've ever met on the internet. The prize is one rubber stamp of the winner's choice. And it's the Judged Challenge week, so to be eligible for the prize, you must use the twist in your creation. The twist is: Flowers, Flowers and More Flowers... Yeah, well, I forgot my flowers. I still like my card. I hope you do, too. Please head on over to the TMS blog to check our what the rest of the girls made and play along with us. Have a great Tuesday! 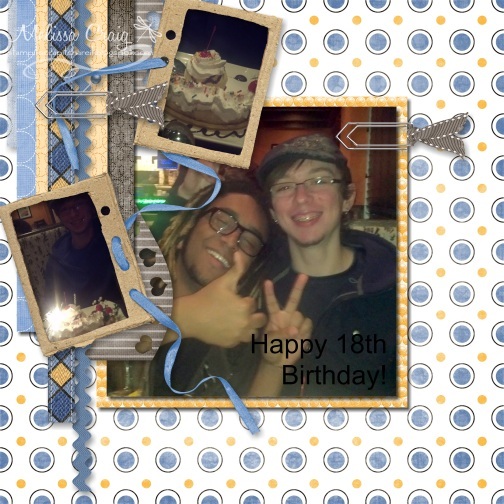 For my project, I chose to scrap the few pictures that I got of my son's 18th birthday dinner. They aren't the best, so hard to get good photos in a dark restaurant with the camera in my phone. We had such an enjoyable time and it was nice running into Brendan's best friend Ryan and his mother. I also cannot take credit for the layout. It was one of the quick pages in the MyMemories Suite software. I just dropped in the pictures and added the title. I was going to change that color of that, but I forgot. Oh well, I can always change it later. 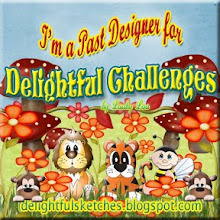 I hope to see you over at The Pink Elephant - the challenges are pretty easy and so much fun! Good Morning! I am pretty glad that Tuesday is here. I really needed the break last week - I had put so many hours into creating that digi album for Brendan, that I just couldn't bring myself to create another thing. But I'm back this week and we have a great sketch, a great sponsor - Floppy Latte and I think my card is pretty great, too. It's pretty simple, but I think all it's simple elements make it pretty elegant. I personally love the embossing. I'm going to keep my post short so you have lots of time to visit the team's blogs and play along. Nope! I'm not late posting - The Pink Elephant has changed the format of the scrapbook challenge and combined it with the regular Monday challenge. 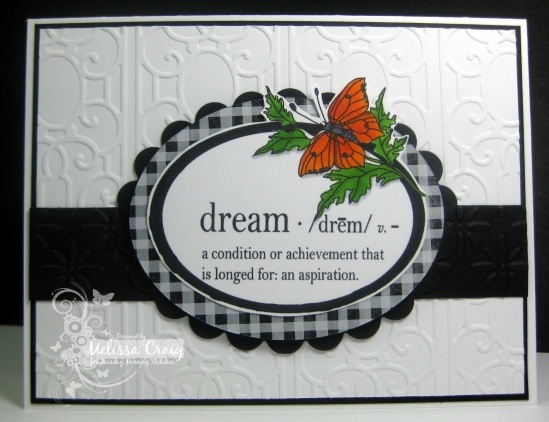 So guess what, you can either make a card or altered item or a scrapbook page! I'm so glad it got moved to Monday, since that seems when I get my posts up anyway. The Challenge this week is Mother's Day. I had a lot of fun with this challenge because I am still playing with MyMemories Suite software and now I'm combining it with other challenges, too. I'm branching out a little. 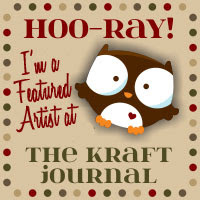 I followed a sketch by Canadian Scrapbooker - I love this sketch. In their original sketch, there were 3 smaller photos, but I chose to leave one out. Their journaling lines I replaced with a few terms of what we call our Mothers. I like the simple elements of this page. I'm playing with drop shadows and a few shapes. I would really like to see how I can add texture to an element as though it went thru a Cuttlebug and embossing folder. Have a great Monday and we'll see you over at TPE.